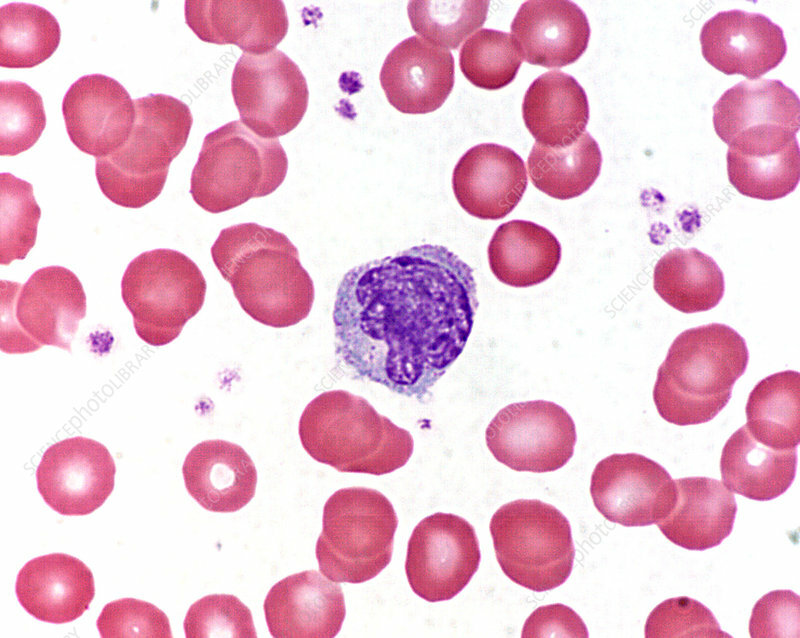 Monocytes are in general the largest white blood cells in a blood smear. Although there is variation in size, their average diameter is approximately 18 micrometers. The nucleus of the monocyte is typically more indented than that of the lymphocyte. The monocyte in this micrograph is approximately 14 micrometers. The nucleus shows several marked indentations. The cytoplasm shows some distinct azurophilic granules. Wrights stain.